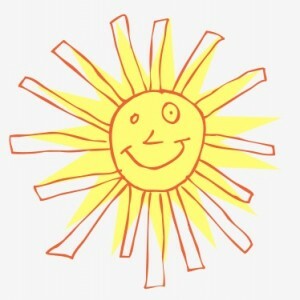 Sunshine kicks off with sweet orange and vanilla. Victoria, from eaumg, describes this as an orange creamsicle and I totally agree. The vanilla lightens up a bit yet the citrus sticks around. Some sweet resins come in. Projection is quite strong for the first hour and then it comes closer to the skin. The base notes of sandalwood, resins, and light musk last more than 8 hours. Summary: While this is obviously meant as a summer fragrance, I can easily seeing this kind of Sunshine being a perfect pick-me-up for a cold, dark winter day. Be careful when wearing, because others may be tempted to lick you because you smell so sweet. For an eau de toilette, the longevity is very good. At the quite reasonable price point, this is more fun than anything you could pick up in a department store. 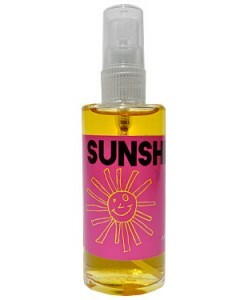 Smell Bent Sunshine is available from Indiescents and the Smellbent website. This is a simple fragrance but that’s why I like it. I do want to smell like an orange creamsicle and sandalwood. I agree with you. This is a “winter” citrus as well as a summer citrus.